RV.Net Open Roads Forum: Tech Issues: How do I change these LEDs? > How do I change these LEDs? I have some burned out LED lights and I can’t figure out how to open the fixtures. Any tips? Most are held by spring clips. Pull straight down. Check for power and ground at the lights before replacing. Blairsville, GA and WPB, FL. I would try pushing up on the ring and turn CCW. This post is my opinion (free advice). It is not intended to influence anyone's judgment nor do I advocate anyone do what I propose. Sold 04 Dynasty after 14 great years. How I spend the winter. If you can't see any fasteners and it won't unscrew, I would use a thin knife blade to pry it away from the ceiling. You should find a small printed circuit board underneath. I have had some that screwed on and others that had a notch in the cover, rotate to line up and it falls out. as for the burned out LED's you may need to just replace the whole light. They run about 12 bucks or so. ANSWER: The center lens pops out with a blade. Problem solved. The outer rings are stationary. I have (had) the same type. The LED chips had a disappointingly short life... Initially replaced 2 fixtures with an equivalent, but kinda pricey for what they were... 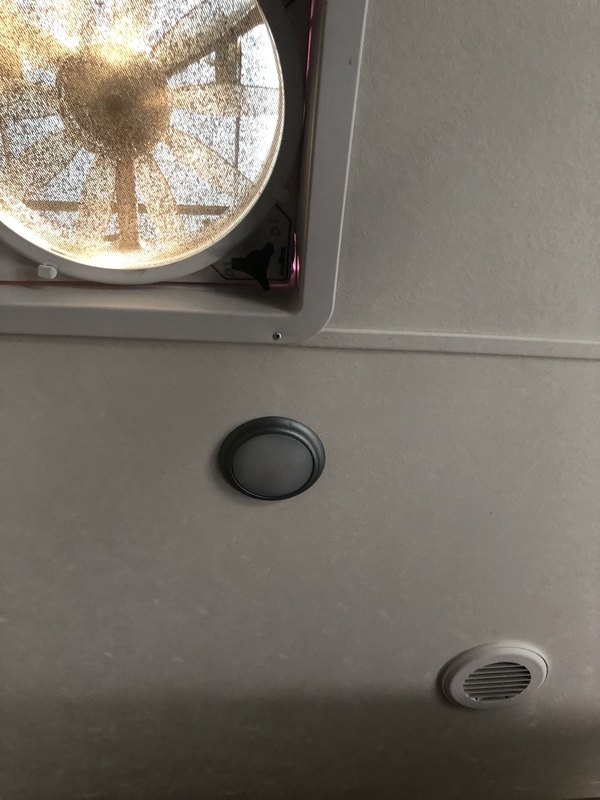 Created an alternative...Cabin Bright sells a NICE replacement LED chipset for ITC fixtures - see https://www.cabinbright.com/product/itc-fixture-replacement-led-set/ - I replaced the PCB in the original fixtures with a piece of roofing aluminum I cut to the same size. Drilled a 1/4" hole for the wires thru the center of the replacement square of aluminum, then adhered the new chipset right to that (serves as a heatsink, too). Re-installed the original fixture with the new board - great results! Available in various temperatures, too. First 50 done, working on the second pass! Nunavut - we'll see...!